Dorothy Mahoney's Off-Leash is an unassuming, candid, considered treatise of canine experience and wisdom, much of it from the muzzles of the beasts themselves. Mahoney has accomplished what legions of sci-fi fans, futurists and pet lovers have long imagined but yet to master - she can speak Dog. paint by number the large-eyed dog on velvet. salt and pepper from their heads. Our newest staff member Odin was all over this book. After reading Off-Leash Odin handed it back to me with a bit of a scowl, he insisted that if I didn't write about Dorothy Mahoney's barkingly brilliant book that he would bite me. Then he growled a little bit. between beast and biped has been rendered moot. The reason employed by Mahoney and her canine ambassadors is unassailable. with no one else to guide her. Who hasn't worried about being drowned by winged monkeys? 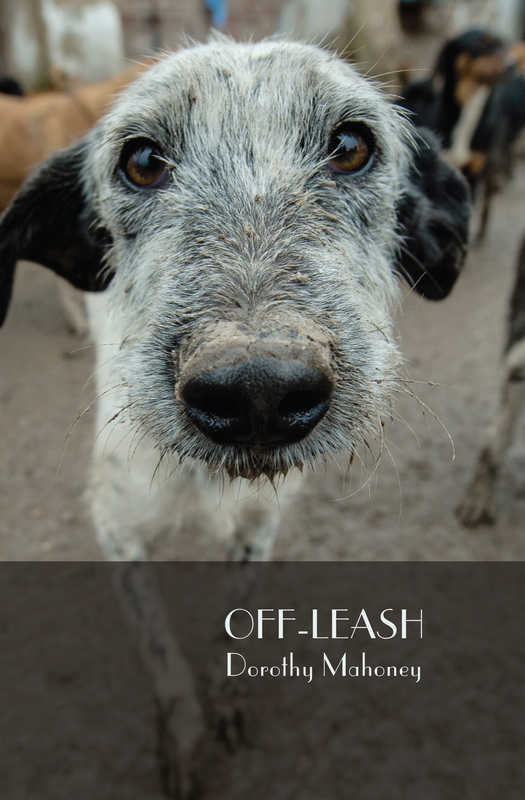 Off-Leash is consistently entertaining as Mahoney susses out what is really important to our four legged friends. It turns out that our concerns are not that different. It's a dog's life, But which dog? Today's book of poetry is pretty sure that Queen E's pooches make it through the day a little differently than Prince, the white Boxer across the street, or Bruce, his British Bulldog buddy with the football obsession and the skin condition. Mahoney's dogs are like us, varied, complex and searching. And sometimes they just need to take a good sniff around. For some of us it's a good bone, a warm hearth and the smelly feet of the master we love. Other dogs need the space to run, to chase wind, rabbit and reason simply because they can. when only the sun was waking. wary of what I could not see. Today's book of poetry thinks these doggy tales are universal and only the best poems manage that. 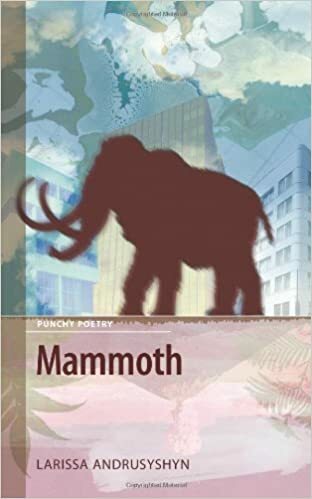 Dorothy Mahoney has done a remarkable job with Off-Leash, she's crossed a species language barrier and made poetry out of that. Beautiful. Every dog owner out there should read this book. And then read it to your dog. 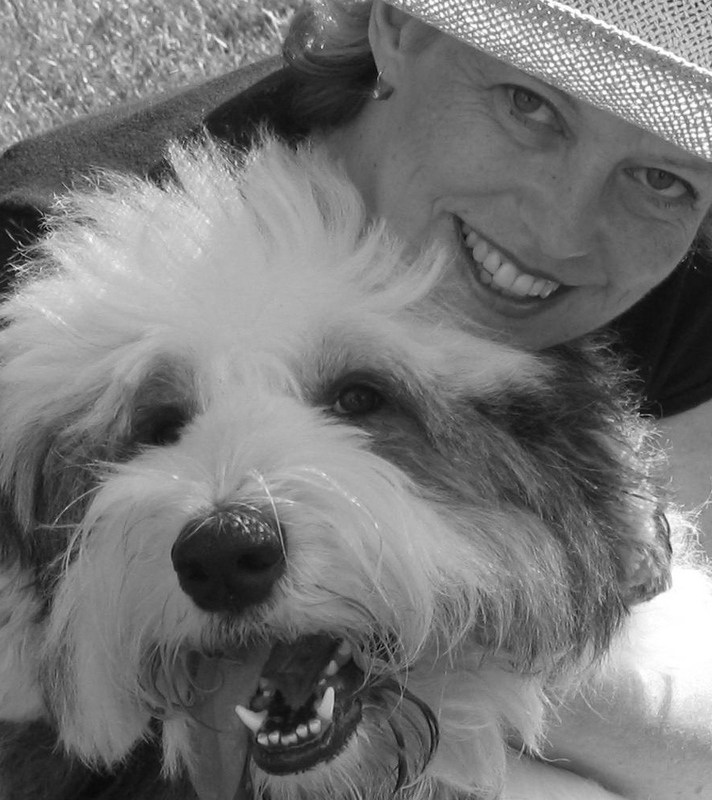 "Mahoney writes about dogs as if dogs matter; and the strength and tenderness of her poetry convinces us that they do. Her poems write dogs into the human psyche, into history. They invite humans to enter the canine realm. Beautifully paced, there is nothing coy or sentimental about this collection, just best words next to best words in the best order, just "a dog next to a dog next to a dog." Adam Scheffler is singing a big, big song in A Dog's Life and it is mostly a song of joy. You'll hear a few complaints and genuine concerns along the way but that's only natural. Mostly Scheffler is aiming high, he's generous and kind. Scheffler ruminates at length in his conversational and prosodic style and boy oh boy do we like to listen. There's nothing naive about the poems in A Dog's Life but there is a certain innocence. Adam Scheffler's innocence has some experience to it. Years ago I published a poem that had a line in it that insisted you can't have innocence and experience too, they are two separate horses bursting out of the gate. Well, apparently I was wrong. the dog's secret about her. I have figured it out. Today's book of poetry found a lot of joy in A Dog's Life despite the arrows of real life skewering hearts, Scheffler has created an entertaining and compassionate balance in these poems, a sense of hope. We do hear about the irresponsible parenting skills of pandas and the inexplicably large salary of a business man from Tulsa, there are laments of different orders peppered here and there, but Scheffler never loses his focus. The dark is only ever a reminder that the blue sky is coming. for old age means fewer choices. a knot we try to untie with talk. It came as no surprise to Today's book of poetry that most of this collection had been previously published in scores of magazines and journals. Good ones. In fact it pleases Today's book of poetry to know that the editors of these publications saw what we see, Adam Scheffler writes damned good poems. A Dog's Life comes right up to you just like a friendly dog, licks your hand, settles down at your feet and you feel reassured. Our newest staff member Odin was particularly charmed by Scheffler's poems and made a special request that I post the following poem. Apparently Odin never met a waitress he didn't love. like any hope of her number. Today's book of poetry felt that the poems in Adam Scheffler's A Dog's Life were straight forward and true. You will feel better about the world after reading these poems. Reason and hope go a long way to beating back the darkness. Adam Scheffler grew up in California, received his MFA in poetry from the Iowa Writers' Workshop, and is currently finishing his PhD in English at Harvard. Eva Tihanyi won us over pretty early into her excellent The Largeness of Rescue. Tihanyi is so eloquently reasonable that we started to hope she could explain everything. Then we read "Bridge" which was written in memory of Dorothy Farmiloe and recognized immediately that we were on terra firma. Today's book of poetry has long admired Dorothy Farmiloe and so we went to the stacks this morning and were able to retrieve three chapbooks and one trade volume of poems. Poems for Apartment Dwellers (Fiddlehead Poetry Books, 1970), Winter Orange Mood (Fiddlehead Poetry Books, 1972) and Blue Is The Colour Of Death (Fiddlehead Poetry Books, 1973), and Words For My Weeping Daughter (Penumbra Press, 1980). Doronthy Farmiloe (1921-2015) published ten poetry books/chapbooks by our estimation, another ten or eleven published books in different fields, but has never been widely known or championed, Today's book of poetry has always thought she had the real goods and are tickled pink that Tihanyi thinks it too. Eva Tihanyi giving Dorothy Farmiloe the nod tells Today's book of poetry plenty. Needs, wants, must have a fix. of Paco Rabanne cologne and week-old sweat. Is it tragedy when you choose? in his own life, is now jailed in it. a grand nightclub lounge on the Tyrrhenian Sea. rushes out for the next fix. alights on the tarnished horn, such sad beauty. beating some time into submission, beating time. If this were true, it couldn't be said. as a signature on water. to hear "Someone to Watch Over Me"
who waits for his release. There is nothing as seductive as genius. sliding into their ears like promiscuous tongues. a corrupt angel resisting rescue. But they all try to save him, the women. .After prison Chet Baker is Chet Baker. No closed circle, no straight line. As most of you faithful readers already know - a good jazz poem will sucker punch Today's book of poetry every time. And "Circles and Lines" is a doozey. Write about Saint Chet of Baker or Lady Sir Charlie Parker and you will get our full attention. Write about them well and you end up on this blog, were it possible we'd throw throw garlands at your feet. If it were only Dorothy Farmiloe and jazz Today's book of poetry would be happy enough but there is so much more of value going on in The Largeness of Rescue. Tihanyi is trying to figure out that most difficult thing - how to be a good person. Today's book of poetry comes away from The Largeness of Rescue thinking that Tihanyi wants us to celebrate as much as we can, whatever small victories we inhabit, Tihanyi's poems suggest we celebrate them. This is good advice. Eva Tihnayi describes love as the cat in her poem "The Schrodinger Principle". Today's book of poetry has always assumed that the practical lesson to be learned from the Schrodinger Principle is that life doesn't exist until you actively engage in it. You have to open the box, you have to jump into love, before you'll have any idea of what it is or where it will go. Of course Today's book of poetry is frequently wrong. There was some head shaking around our skeptical office this morning but Today's book of poetry is with Tihanyi when she says "but I will always side with love." Eva Tihnayi has published eight previous poetry collections but when we checked our shelves we could only put our hands on two of them, Prophecies Near the Speed of Light (Thistledown Press, 1984) and In The Key Of Red (Inanna Publications, 2010). Those both got passed around along with the Dorothy Farmiloe at our morning read today. A few poems slipped out and that was just fine, there is nothing we like more at our morning read than variety and context. You are supposed to be happy. you watch over your mother. you watch over your sister. Hope. Today's book of poetry always loves to see hope and are reassured by The Largeness of Rescue that hope is still a good thing. Eva Tihanyi's template for a more understanding, listening, tolerant and mentoring world is one we can all get behind. Eva Tihanyi teaches at Niagara College and divides her time between Port Dalhousie (St. Catharines) and Toronto. 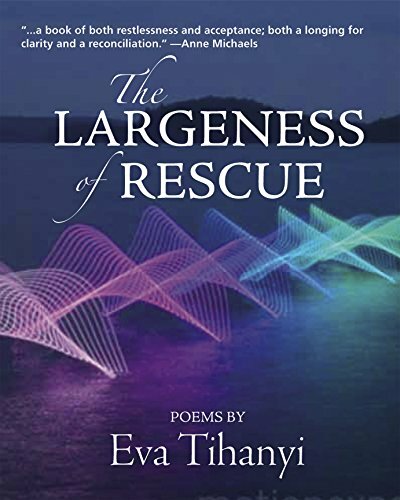 The Largeness of Rescue is her eighth volume of poetry. 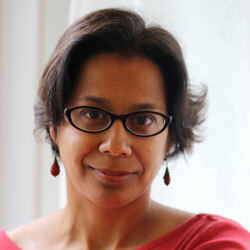 She has also published a collection of short stories, Truth and Other Fictions. "The Largeness of Rescue is a grave and tender collection, much preoccupied with issues of choice and destiny, and how they resonate throughout our lives. “Is it a tragedy when you choose?” she asks of the self-destructive jazz genius Chet Baker, and envisions T .S. Eliot turning his back on the “bad Russian novel” of his life to “foray into literature / on a plank of contrived neutrality / which he himself does not trust.” Most of the personae of these poems are nameless and their struggles and regrets less celebrated, but no less resonant: having been laughed at at twelve for his clumsiness, a man refuses to dance, in later years, with the wife who loves dancing, so that “Eventually / no one is dancing.” What connects them all is an awareness of life’s central paradox: we are always hoping to arrive somewhere better, even though all we have is the present moment." "With clarity and insight, Eva Tihanyi’s poetry offers both personal revelation and mature reflection on art, time and history. Serene in spirit and precise in language, The Largeness of Rescue is her finest work." "Among my favorite poems in this reflective collection are those tributes Eva Tihanyi composes to the artist. There is her powerful evocation of Chet Baker and the “tendrils of melody” and charismatic notes” that emanate from his “brooding trumpet”; the complex mix of his giftedness, his inconsolability, the lure of fame and the prison of his addiction. Then too, she offers a rich portrait of T. S. Eliot, who struggled to “crack the code of his insurgent heart”; and before him, Tihanyi remembers the legacy of the Romantic Poets, the places they lived and their “allegiance to words,” which can “ignite like a tiny sun.” As she notes the particulars of all their lives, and the continuum of learning our own, Tihanyi asks that we pledge to live—to live in love—in spite of the paradoxes which fill this collection with subdued wonder." "Long-time readers of Eva Tihanyi’s powerful poetry have always appreciated her clarity and candor. Now, in her eighth collection, The Largeness of Rescue, we see the poet’s deep reckoning with loss, longing and mortality. Whether it’s a student crying in her office, or the slow demise of jazz genius Chet Baker, or the poets Byron, Keats, and Shelley in Italy, Tihanyi’s soulful poems show an intrimate understanding of life—and often the great human cost of art. 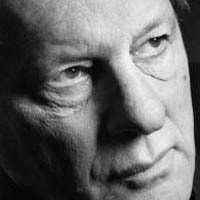 Tihanyi offers us poetry that whispers from one heart to another." "Eva Tihanyi writes with clarity by employing powerful metaphors and epigrammatic language with an unflinching philosophical honesty to capture the conditions of our lives. 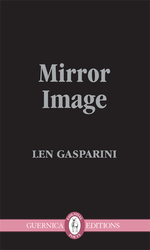 If there is a dark atmosphere in some of these poems, there is also an underlying hope expressed in tender affirmation." 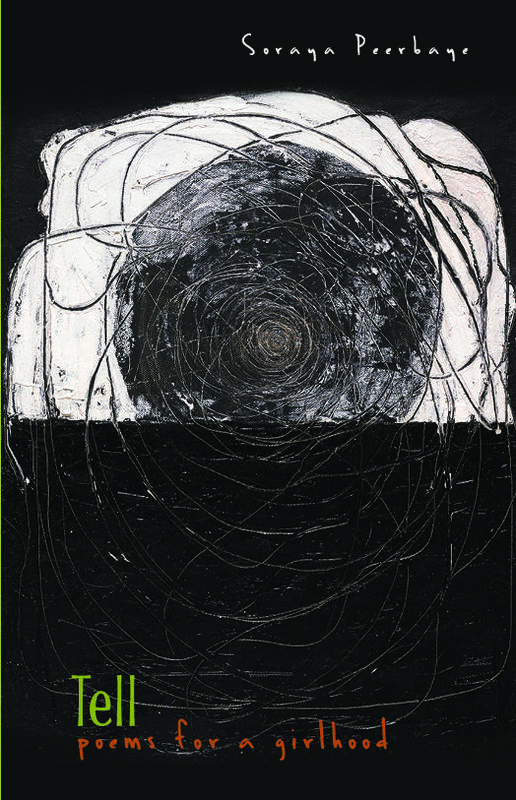 “Art is not a closed circle / or a straight line.” Eva Tihanyi’s poems evoke many moments of art, from Chet Baker’s music drifting from an Italian prison to a cave artist place handprints on rock. She pieces these moments together along the curving trails of lyric and perception."